As It Happens host Carol Off's new book All We Leave Behind was released in September 2017. Photo courtesy of CBC. 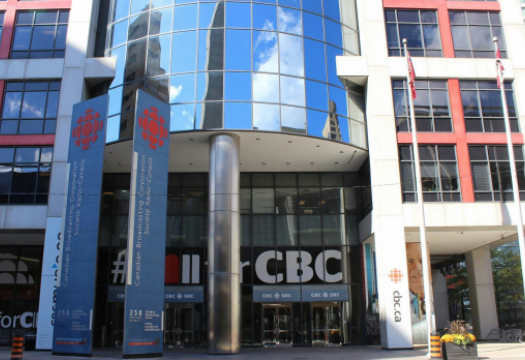 When Carol Off first met Asadullah Aryubwal — Asad, for short — in 2002, it was to interview him for a CBC report she was working on about the American occupation in Afghanistan. He was a source, and she was a reporter. She didn’t think there would be much more to the relationship. But, as Off describes in her new book All We Leave Behind, that meeting with Asad would “shake the foundations” of what she thought the role of a journalist would be. Her source’s forthcoming interviews put him in danger at home, and he called upon Off to help him and his family. 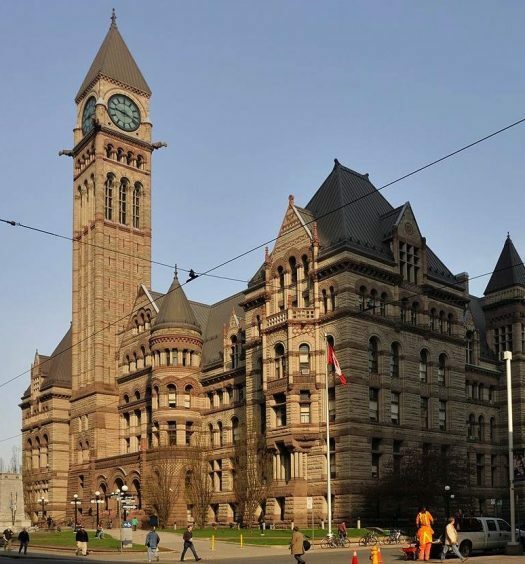 For almost eight years, Off put aside her role as journalist, spurred by a duty to assist the man who was a key source in her story, and began trying to get the family passage to Canada. Off spoke to J-Source about why it was important to tell Asad’s story in All We Leave Behind and how this experience has changed her own view of the source-reporter relationship. This interview has been edited and condensed for clarity and length. J-Source: One of the things that really struck me in the book was how Asad and his family felt passionately about speaking out and telling their story. How do they feel having that story fully written down in a book for everybody to read? Carol Off: He told me he has no regrets about anything, including this book. He agreed to it knowing that we are going to do it again — we were going to put this story out there. I think that he still strongly believes in the value of speaking out. You think he wouldn’t still have that idealism, but he’s still very idealistic. He still has this strong sense that he can somehow make a difference. His daughter, Ruby, has taken up the same kind of worldview. I think they strongly feel that this is right thing to do and they still think they can make a difference. J-Source: For them, what difference are they hoping to make by you telling their story in this book? C.O. : It’s very timely actually because right now Donald Trump has announced a new initiative where he is going to go back send American troops into the country. They are going to work with the same warlords that they worked with before. Canada is weighing if it is going to take part in that. Will they take on the same partners? The same people that caused all this grief that Asad was trying to warn them about during all those interviews? The warlord that chased him out of the country is the vice president of Afghanistan and he’s on the payroll of the United States, because they are paying most of the bills. So we are still in that situation where all the things that he was talking about in the interview still exist and might actually be renewed. So I think that he’s hoping that somehow this can be a warning not to do that. 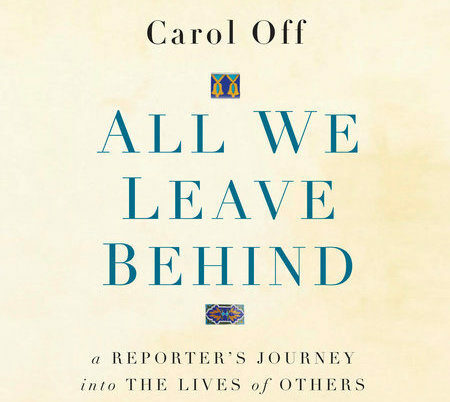 Carol Off’s new book tells the story of how she helped a source and his family leave Afghanistan. Screenshot by J-Source. J-Source: Throughout your time doing that reporting and working with Asad, you wrote in the book that you were losing faith in the prerogatives of the profession. Where do you feel like you stand now about that source-reporter relationship? C.O. : I’ve learned I have responsibilities that I hadn’t thought through before: responsibilities to people, to sources I already thought I understood. I think what has developed is that the stronger sense of what my duty might be to people whose stories I tell. J-Source: And what do you think that duty includes? C.O. : I think we have to understand that when we talk to people, whether it’s in the field or if I’m talking to them on the phone on As It Happens, that people talk to us because they have something to tell us — because they are willing to take enormous risks. That’s something we sometimes forget because people seem willing to say things and reveal what’s going in a country — especially young people. They are willing to actually endanger themselves to do that. We have to understand that they need us to protect them to some extent — protect them from themselves. You know, I’m idealistic. I think it makes a difference when you get the word out. But at the same time, because they are willing to take such chances, they are willing to believe that they will be okay. I don’t know if they are okay afterwards. In some cases they are not okay. So in some cases, there is a huge responsibility to make sure that we use devices and to use technology that’s encrypted, that we do anonymous interviews. At the same time I worry — does it help the dictators and the bad guys win if we decide it’s too dangerous to do the interview? You know you want to risk yourself in order to tell the story and expose what’s going on, but we’re not going to put you on because we can’t protect you afterwards. Well then, the bad guys have won haven’t they? So, we then are complicit in the censorship and the shutdown of those voices. These people are willing to talk because they want the world to know what’s going on and they want to take that chance. At the same time we’re going to say no it’s too dangerous for you and so we’re going to censor you. So trying to find that balance between protecting people and at the same time not doing the work of the censors is a new balance that I am trying to find. J-Source: Do you feel you really have to listen to the source and what kind of risk they are willing to take? Or is it really about informing them about what the risk could be? C.O. : You can inform them and they will still do it because they believe it. Most people, once they know that the authorities might do something to them if they speak out, that’s enough for them. They shut down. It’s a very small group who are willing to speak out. They are determined. So I think we can’t depend on them to tell us if they are safe. I think you have to know a bit more about every situation when you are interviewing somebody. J-Source: I’m curious — what’s next for you and for Asad? C.O. : Seeing the family here is like … just putting water in something that is withered and suffering, and then you water your plants and suddenly you see them growing and prospering and blooming. Everytime I go to see the family I just see the fear and the anxiety has left them. I know they are having bad dreams still. They are afraid of things, so that is slowly disappearing, and they are also discovering all the possibilities for themselves. They are getting jobs, they are going to school. Ruby is in University of Toronto. Her dream is to go to law school. She’s such a grown up — sometimes I think, who’s the older person here? She’s so wise. Her dad, he’s still washing dishes at the Carlu. I think that for a guy that came from a very wealthy family where he had a lot of businesses, you’d think that would be something beneath him. But he loves providing for his family. Mom … has started a business. She makes these Afghan foods, dumplings and pakoras and sells them in the local market. I’m just in awe of them. All the kids are working and are planning on going back to school and getting into programs. As for me, my life is good. We’re just going to have a life together, which we thought about for many years.